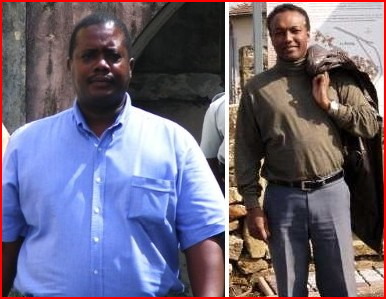 How Much To Send Barbados Environment Minister & Team To Greenland? What Will Be Accomplished… REALLY Accomplished? Hey… we’re all for meeting with the world. That’s why Barbados is a member of the United Nations. 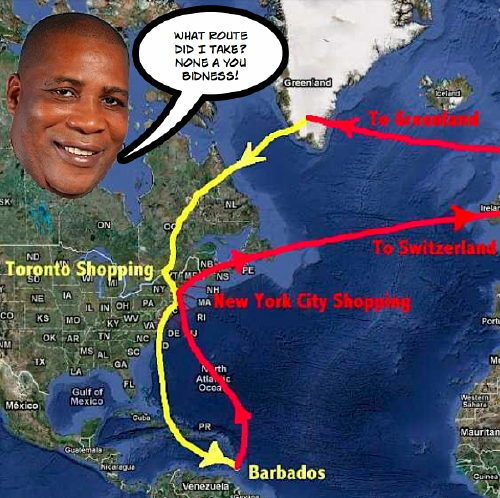 So… we came across an article that says Barbados Environment Minister is in Greenland for an “informal” meeting with a few other environment ministers. 1/ How much did it cost to send you and your assistants to Greenland? 2/ What was accomplished? 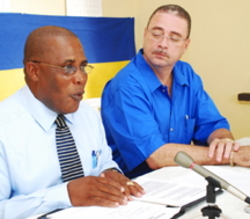 What ACTIONS will Barbados take as a DIRECT RESULT of the meeting? We forgot… without a Freedom of Information Act, Bajans have no right to ask you for any justification at all – not how much you spent or what was accomplished. Please, forgive us, oh Holy One. Should I Obtain A Masters In Cricket Studies or Basket Weaving? Decisions, Decisions! I recently came across a brochure, put out by the University of the West Indies (U.W.I. ), offering a Master of Science program in Cricket Studies. The number of faculty or facilitators for this program, according to the brochure is twelve. I consider this to be a waste of resources, which could be better spent, as I will show below. Barbados is a developing country. It therefore suffers from most of the ailments associated with developing societies. These ailments are briefly, lack of trained professionals in the sciences and the ancillary equipment and instrumentation needed to implement any meaningful developmental thrust in these area. An in depth examination of all countries, which are developed or are on the verge of being called developed, will reveal, that science and technology, form the backbone of their developmental thrust (eg. Singapore). There is a need to develop a cheap source of rations for animal husbandry in the region. Processed products from our agricultural commodities, as well as from the fishing industry are needed. There is also a need, to develop new products for export if this island and the region are to survive. The morass in a country like Barbados is further compounded by the proliferation of non-productive or virtual reality occupations (e.g. law, public sector reform, political science, public administration, accountancy and management – the latter two are really forms of legalized thievery- etc.). U.W.I. seems very adept at graduating lots of persons in these disciplines. If there is one thing that, the credit crunch has demonstrated, according to the British Broadcasting Corporation (BBC), it is the fact that, agriculture and engineering form what are called the real economy. The service sector and investment banking among others, the virtual reality economy. Without the former the latter cannot exist. Like most developing countries, Barbados suffers from a lack of resources. I used to play cricket for U.W.I., St. Augustine and my two sons played cricket. I have a problem, at this juncture in Barbados’ development, with money being spent on this cricket venture. I wonder, if this program, which is being implemented by U.W.I., is a one-man venture or the collective will of a number of persons. If the latter is the case, it would seem that , we are a society, in which individuals lack independency of thought as well as vision.